Searching for the right candidate can be a tedious task, spending hours online searching for someone then trying to find their contact details without any success. Or even the times you want to contact someone that works for a specific business. You go to their website and are unable to find any relevant contact details that would be of use to you. For headhunters, employers, and recruiters, all of this can be a long and unproductive waste of your time. Sometimes it can be a huge pain in the backside. So we found Hunter, and want to share it with you. Hunter is a headhunters dream. It allows you to easily find email addresses from anywhere on the web, with just a few clicks of a button. It is trusted by more than 400,000 users, as well as global conglomerates like IBM, Google, Microsoft and more. 1. 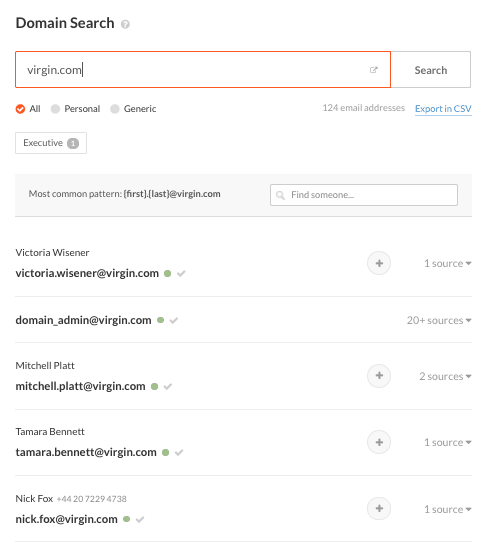 The domain search allows you to download a list of relevant company emails from the domain you have provided. 2. 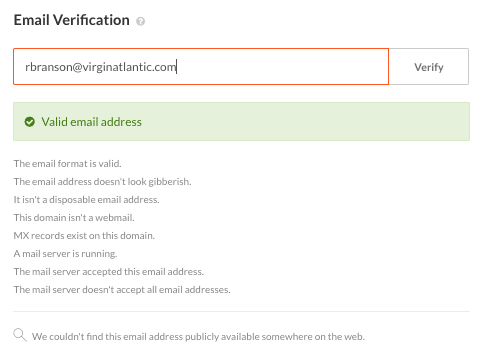 The email verification check is useful for validating that the email address you want to contact is still active, accessible and safe to connect with. 3. 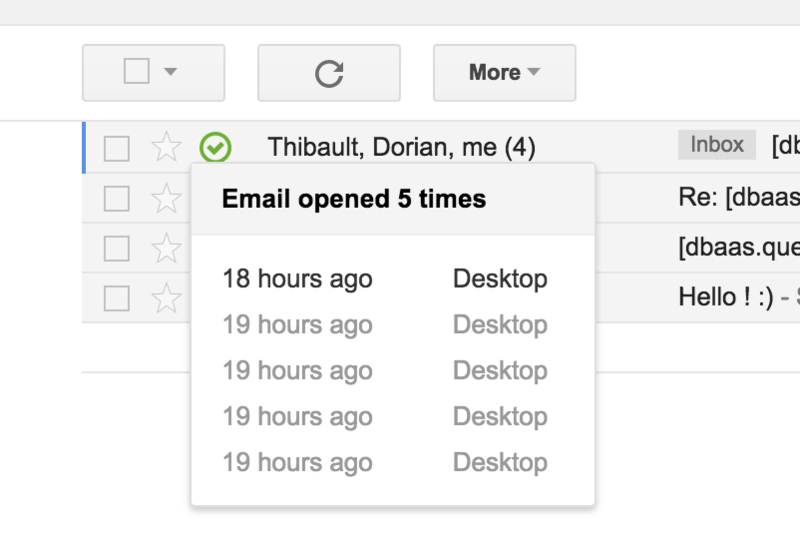 There is also an email tacker for Gmail, similar to the one implemented on Hubspot, that lets you know when your recipients open your emails. Hunter works extremely smoothly as an extension in Google Chrome, and it functions well with important sales and headhunting tools such as Hubspot, Zoho CRM, Pipedrive, Zapier and Salesforce. Hunter had become an extremely popular tool for headhunters who spend most of their day searching for candidates on Linkedin, but unfortunately, Hunter’s integration with LinkedIn has now been removed. One downside is that it is not integrated into Safari, which is the second most used web browser behind Google Chrome of course, and might be the preferred web browser for some people. Hunter just announced its integration with Firefox, so we’re sure a Safari integration is in the pipeline for the near future. To test out Hunter, we selected 20 LinkedIn accounts to check whether or not it was able to find their email address on their LinkedIn page. A simple check to see how reliable Hunter really is. We made sure that all the accounts were first and foremost active, and secondly were owned by people in high positions such as Founders, CEO’s, Managers, and Executives from all around the world in order to increase the possibility that their email address would be attainable. Our test found that Hunter was able to identify 80% of the email addresses from our sample group. That’s 16 email addresses out of the 20 Linkedin accounts. 80% is a little lower than we expected, as we anticipated something around the 90% mark. As noted previously, Hunter has now removed its extension from Linkedin, therefore the majority of benefits you would receive from the service will now come from its integration with company websites, and social media platforms like Twitter. Hunter is free for the first 100 requests, then you can choose from Starter, Growth, Pro and Enterprise packs which vary from €39 to €319 per month. If you’ve purchased Hunter, or use it religiously, we’d love to know if it has been worth your money! We’re sure other readers would appreciate it as well. 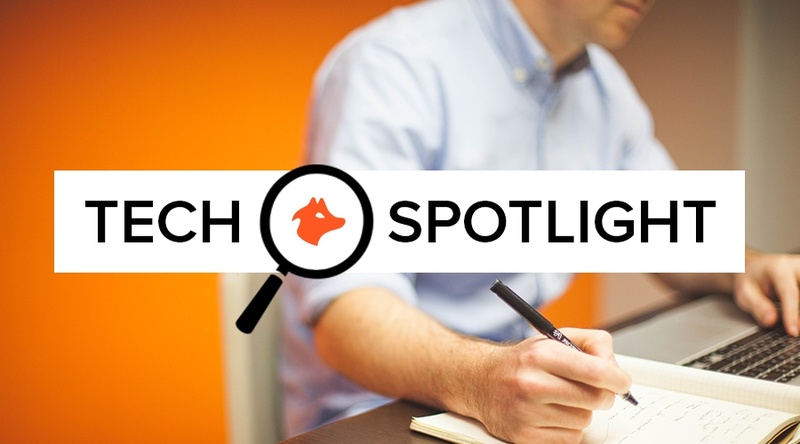 We like the product but had to deduct a few points because of the fact that it could not find a few emails of high-profile people when we were testing out the product. Other than that, Hunter is an unobtrusive extension we recommend headhunters use and is designed to make your online headhunting process far more fruitful than it has ever been. Sponsored: This is a paid article but the review has been written objectively by our editorial team.